Before proceeding, credit where credit is due. 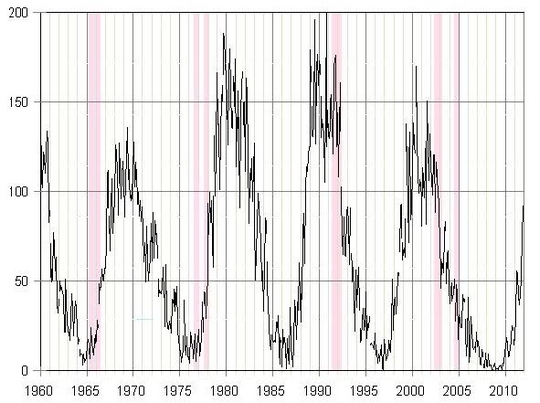 The concept of a relationship between the sun and ENSO events isn’t new. 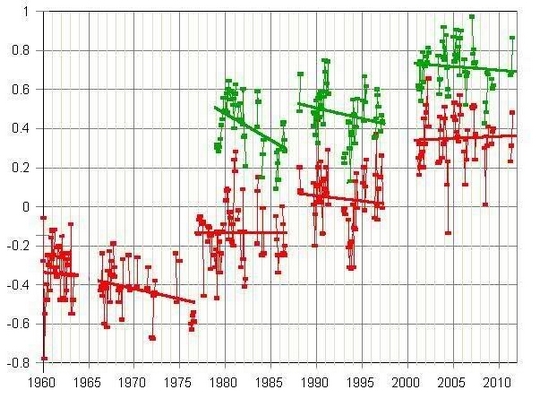 It’s been discussed at least twice on this blog (here and here) and in detail by Theodor Landscheidt (here).The connection between ENSO events and warming isn’t new either. Three years ago Bob Tisdale (here) showed how ENSO events caused periodic upward shifts in the SST record that explained all of the recent global warming. Also not new, thanks to our host, is the theory that the oceans periodically release stored heat to the air (here). So a h/t to these gentlemen and to any others I may have omitted. 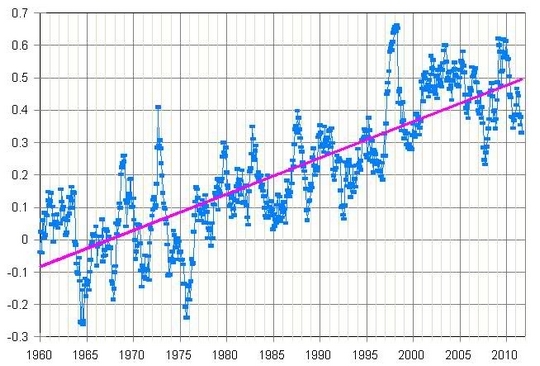 What follows is my attempt to condense these hypotheses into a narrative that uses observational data to illustrate how the solar cycle, ENSO events and the release of stored ocean heat, and not man-made greenhouse gases, combined to cause the recent global warming, which began, incidentally, in 1976. 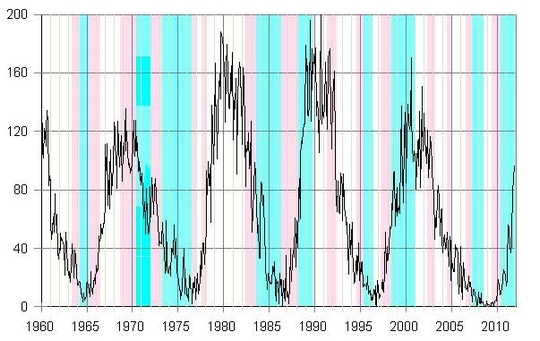 Figure 1 plots the Niño3.4 Index since 1960 (the Bivariate ENSO, Multivariate ENSO and Oceanic Niño Indices give essentially the same results). 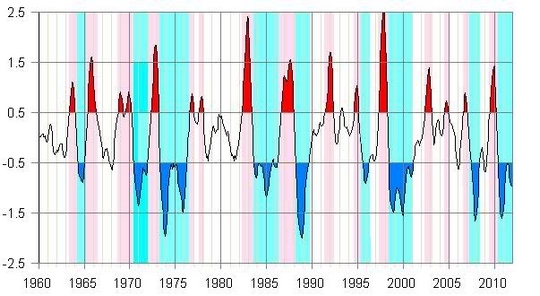 I’ve used the commonly-accepted +/-0.5C threshold to define individual Niño and Niña events and the zero crossover to define Niños and Niñas that transition directly into each other, and the duration of each event is shown by the red and blue vertical stripes. Next we’ll plot the El Niños against sunspot number. Now there’s even less of a relationship. We have a match. Niñas 1, 3, 4, 6 and 8 begin on the back side of the sunspot cycle and end almost exactly at sunspot minimum. Niñas 5 and 7 begin on the front side and end at or very close to sunspot maximum and ongoing Niña 9 is poised to follow suit. 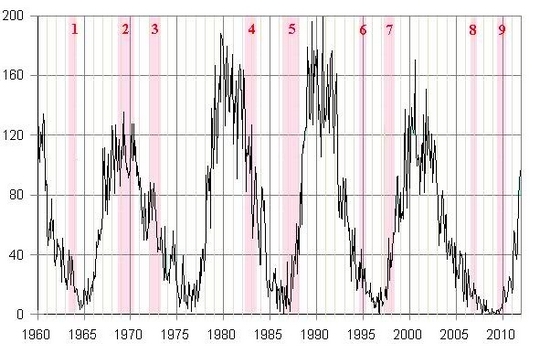 The only Niña that doesn’t fit the pattern is Niña 2, but when we include it another pattern emerges – two superimposed La Niña cycles (2, 4, 6, 8 and 3, 5, 7, 9) with 11-12 year periodicity that are shifted relative to each other by 3-4 years. 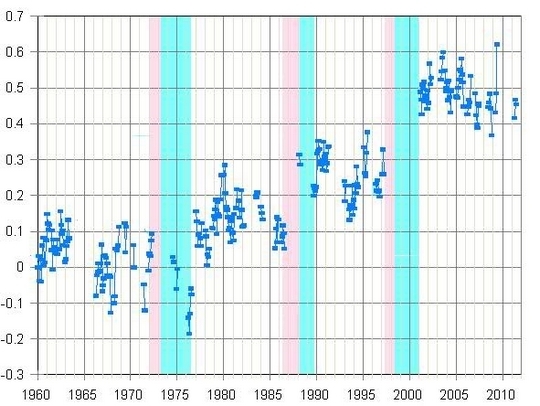 The six El Niños that didn’t transition into La Niñas also broadly match the sunspot cycle, beginning at or after sunspot minimum in cycles 20 and 21 and at or after sunspot maximum in cycles 23 and 24. It is of course possible that these correlations are purely coincidental, but the odds are strongly against it. I think we can reasonably conclude that the sun controls ENSO events, although the mechanism is obviously complex. But the record is too heavily distorted by ENSO impacts to be absolutely certain the shifts are there, so the next step is to remove the ENSO impacts. The accepted way of doing this is to take an ENSO Index – usually the Eastern Equatorial Pacific Cold Tongue Index – and use regression relationships to quantify the temperature impacts of variations in the Index and then subtract them from the SST record. However, this approach assumes that the global SST response is always directly proportional to the amplitude of ENSO events, which it isn’t, and also that ENSO events have only short-term impacts. The shifts in the SST record are clearly visible, they occur during ENSO events and there’s no evidence for any upward shifts of comparable size in the intervals between the ENSO events. The trend lines in fact show net cooling rather than warming during these intervals. 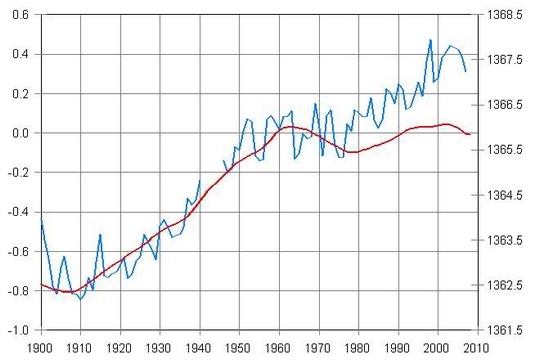 There may be some residual questions as to the extent to which the sun controls ENSO events, but I don’t think these results leave much doubt that the post-1976 warming was caused by ENSO events and not by man-made greenhouse gases. 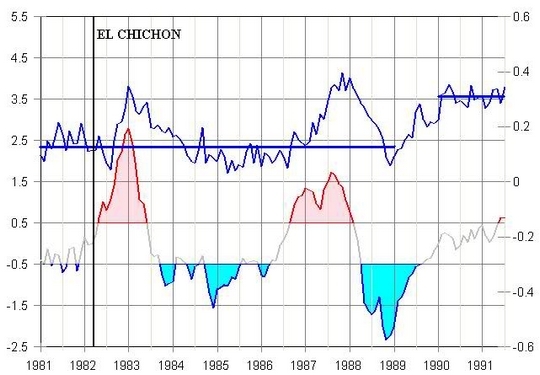 Figue 11 shows that the three upward shifts in the SST record coincide with the 1972-76, 1986-1989 and 1997-2000 transitional Niño-Niña events, but the SST data are too scattered to tell us exactly when they occur, so in this section we will look into that more closely. We will also look into the question of why other transitional Niño-Niña events fall outside the shift windows. 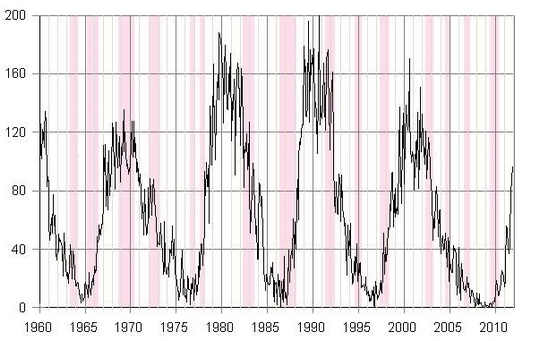 Evidently the shifts don’t occur until SSTs stabilize, which doesn’t happen until after the final Niña regardless of the number of Niños and Niñas that precede it. 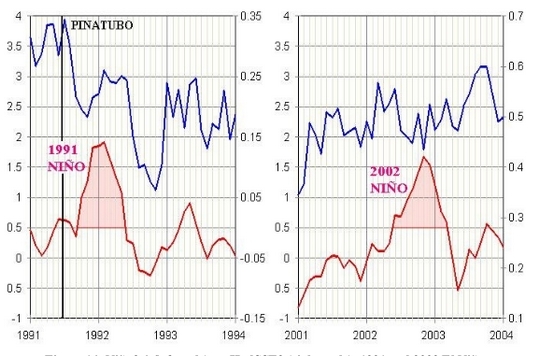 The 1991 Niño generated a ~0.1C hump in the post-Pinatubo cooling trend but that was all. It can be argued that Pinatubo stifled this particular Niño, but the 2002 Niño had no impact whatever on global SST and there were no volcanic eruptions of any size in 2002. El Niños by themselves have no permanent impact on global temperatures (and in the case of the 2002 El Niño not even a temporary impact). The upward shifts in global temperature since 1976 are associated with La Niñas and occur at or around the end of the La Niña events. 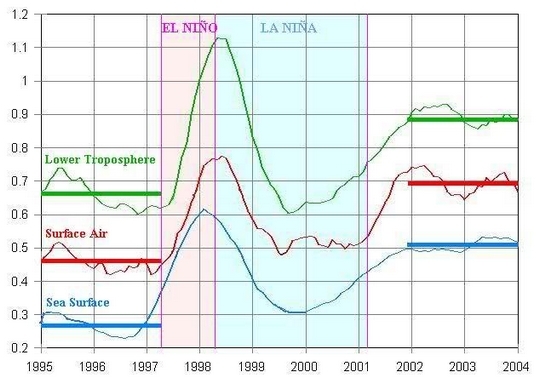 However, since 1960 there have been no La Niñas that weren’t preceded by an El Niño, so it’s reasonable to assume that the El Niños are what initiate the process. The upward shifts in the global temperature records were caused by the release of excess heat from deeper in the ocean to the sea surface. We can be certain of this because a) there’s nowhere else the heat could have come from and b) the heat must have been excess or the ocean wouldn’t have released it. 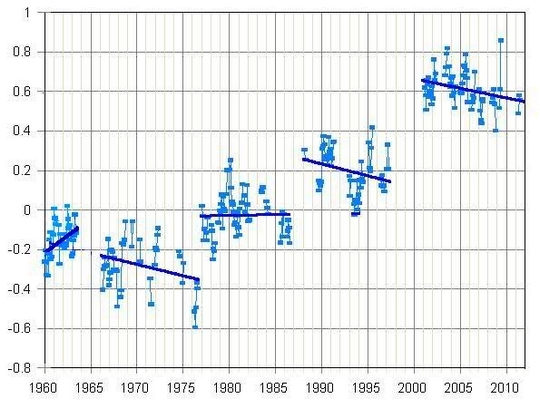 The abrupt divergence between the TSI and SST records that begins in 1976 coincides with the year in which the stored ocean heat began to surface. 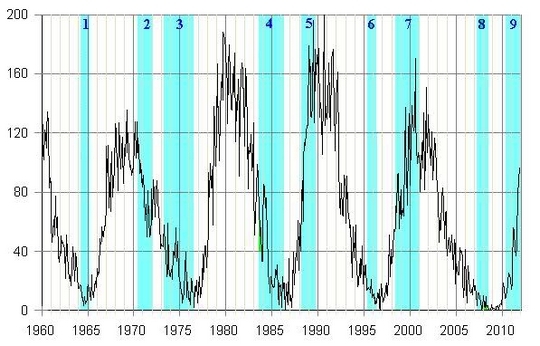 The trigger was the series of strong ENSO events that ended in that year at sunspot minimum between cycles 20 and 21, but reduced solar activity during cycle 20, which was much weaker than the cycles that preceded it, might also have contributed..